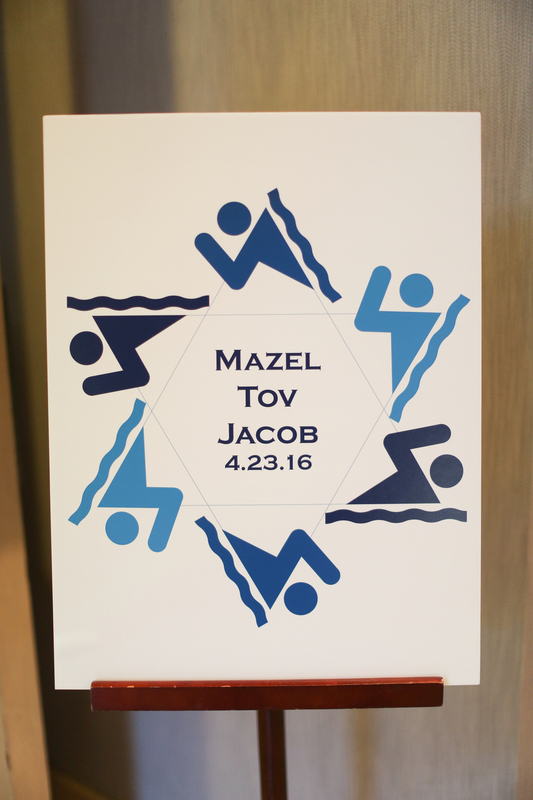 Well I officially have my 2nd Bar Mitzvah under my belt. Michelle contacted me a little more than 6 months prior to her oldest sons Bar Mitzvah. I will always remember our 1st conversation on the phone. She had come to peace that she had 2 boys and no daughters and this Bar Mitzvah would be like her "wedding". They lived in Pittsburg but Jacobs grandparents and Great grandparents were here in Naples and unable to travel. Jacobs birthday/ Bar Mitzvah fell on Passover weekend as well. Passover provided us with some extra dietary restrictions, but nothing my caterers couldn't handle. With many guests traveling from up north, she wanted a nice fun weekend on the beach. Friday nights Seder we hosted on the sand and Saturday nights festivities were poolside. I absolutely loved the combination of navy and lime green (Jacobs favorite colors). I cant wait to use this color combination again! 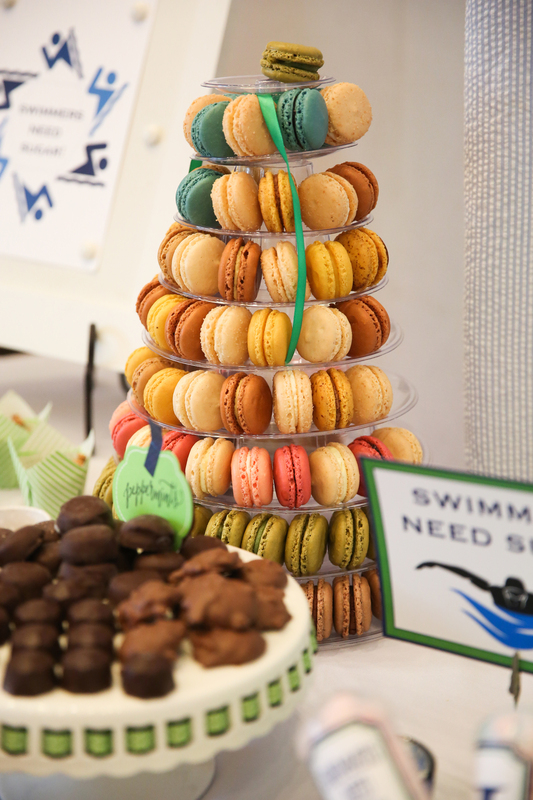 Jacob's love for swimming and lacrosse were integrated all through the decor... from Swimmers need sugar ... to using a blue lacrosse helmet as the centerpiece on Jacob's table. They were such an amazing family to work with and Michelle and I are already whispering about Max's Bar Mitzvah coming up in 2 short years.